When health insurance deductibles are often measured in thousands of dollars, copayments, the fixed $25 to $75 payments you owe each time you go to the doctor or fill a prescription, may seem like chump change. But copays really add up when you have health problems. And for more expensive services, like urgent care and emergency room visits, copays can be $100 or more. Do copays count toward your health insurance deductible? Are you chipping away at your massive deductible each time you pay the $30 copay for your thyroid or cholesterol prescription? It’s natural to cringe when you think about your health insurance deductible, often a few thousand dollars. Budgeting for your health insurance deductible has become a must for financially savvy folks who aren’t wealthy. But, it’s hard to track your progress towards meeting your deductible if you don’t understand what, exactly, counts toward it. Whether or not your copays count toward your deductible depends on how your health plan has structured its cost-sharing requirements. In my experience, most plans don’t count your copays toward your health insurance deductible. However, your plan might. Health plan cost-sharing requirements change each year as health plans look for new, cost-effective and consumer-friendly ways to structure cost-sharing requirements. How do you know for sure? First, check your Summary of Benefits and Coverage. Pay close attention to the math in the examples. If it’s still not clear, you may need to call the member number on your health insurance card and ask. But in general, you should expect that your copays will not be counted towards your deductible. They will, however, be counted towards your maximum out-of-pocket (unless you have a grandmothered or grandfathered plan that uses different rules for out-of-pocket costs). Copayments add up. If you see the doctor frequently or fill prescriptions routinely, copayments that are credited toward your deductible will help. Most health plans apply the cost of some services towards the deductible and use copayments for separate services. $45 copay for filling a prescription for a brand-name drug. In January, you’re diagnosed with diabetes. You see your PCP three times and are prescribed one generic drug and one brand-name drug. Your January copayments are $30 + $30 + $30 + $25 + $45 = $160. Your PCP isn’t happy with your diabetes control, so in February, he sends you to see an endocrinologist, a physician who specializes in diabetes and hormone problems. You see the specialist and refill both of your prescriptions. Your February copayments are $60 + $25 + $45 = $130. But the endocrinologist also orders a series of tests and labs, which aren't covered by the specialist office visit copay, since they're instead counted towards your deductible. You end up paying $240 for the tests, and that counts towards your deductible. In March, you see the endocrinologist twice. She changes your prescriptions; you’re now on two brand-name drugs. Your March copayments are $60 + $60 + $45 + $45 = $210. In March your endocrinologist also orders another test and it costs you $130 (again, this is counted towards your deductible, and you have to pay for it in addition to the copay you're charged for seeing the doctor). By the end of March, you’ve paid a total of $500 in copayments and $370 towards your deductible. You still have to spend $630 (not counting copays) before your deductible will be met for the year. Although it's rare to come across a plan that counts copays towards the deductible, all ACA-compliant plans count copays (for services that are considered essential health benefits) towards your annual out-of-pocket maximum, and there's an upper limit in terms of how high your maximum out-of-pocket can be ($7,350 for a single person in 2018). Most people don't end up meeting their maximum out-of-pocket for the year. But if you do, it can be any combination of copays, deductible, and coinsurance that gets you to the limit. 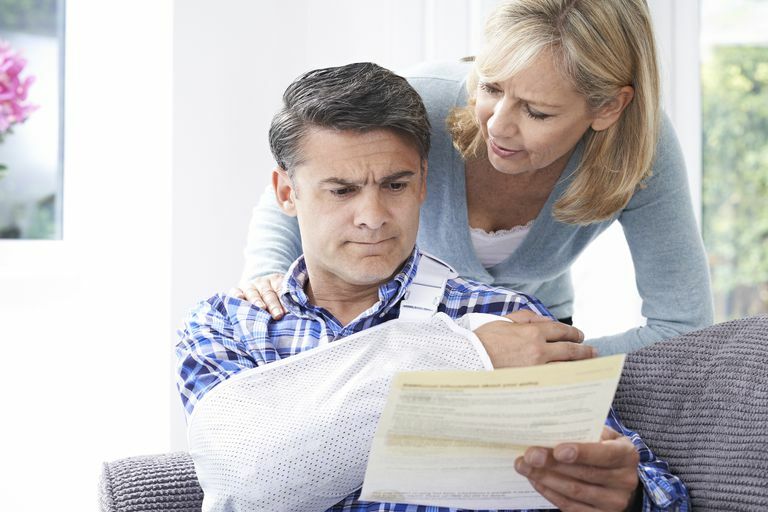 If you have numerous services to which a copay applies, you may end up meeting your out-of-pocket limit due solely to copays, without having to meet your deductible at all (in that scenario, you wouldn't have to meet your deductible for the year, even if you needed care for which the deductible would normally apply). In the example above, when you've spent $500 on copays and $370 towards your deductible by the end of March, you've spent $870 towards your plan's total out-of-pocket maximum for the year. Centers for Medicare and Medicaid Services, Center for Consumer Information and Insurance Oversight. Affordable Care Act Implementation FAQs — Set 18.